Having undertaken many legacy software upgrades CODESIGN2 has a wealth of experience moving from past systems to meet changing needs. There is very little we cannot move including pre-cursors to formal systems from manual processes to spreadsheets & access+vba systems. For formal systems we've moved from hybrid cloud, command line and GUI applications, even past online projects. The main thing that is important to us is ensuring the systems meet your needs, be that cost savings through automation or updated UI, to improved security, improved availability or performance. CODESIGN2 based in Essex is a small software consultancy firm specialising in Digital Marketing, Business Solutions & Bespoke Development. We are committed to providing a first class service to each one of our customers. CD2 excel in delivering great value for money and expert advice & guidance from years of experience in the industry. CD2 is run solely on computers for accuracy, lower costs and gives us the time to focus on providing an even better service to customers. 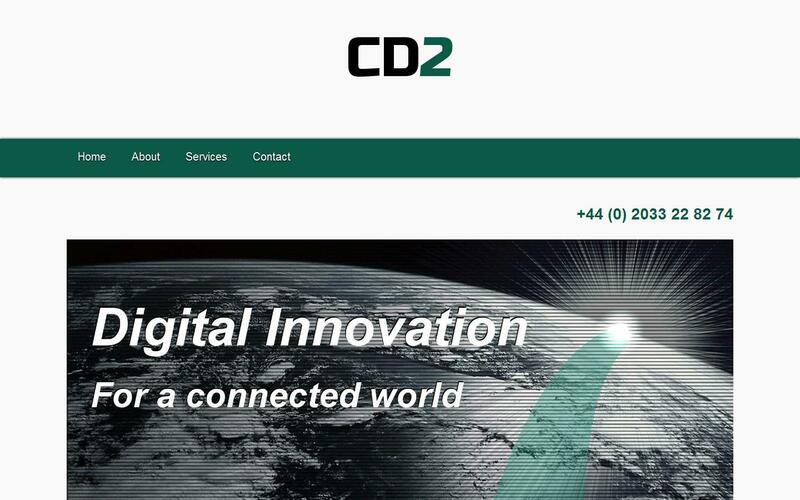 Using effective design and strategy fulfilment, CD2 has the expertise to showcase your important products and services for a growing business. We specialise in relevant software, business goals and delivery. We combine our marketing experience with state of the art businesses intelligence code for innovating solutions to all your common problems. We specialise in E-Commerce setup & integrations, Office Software Integrations, Sales Pipeline Connectivity, Customer Care, Automation & Scaling Infrastructure, Case - Management & Service Delivery & Standards Compliance & Auditing. Using pioneering expertise we will concentrate in areas that will help to add value to your business. We offer a quality service at competitive prices, Scripted Deploys, Backup strategy & BCM, Results Focused Approach & Extensive Code Library. Lewis provided a secure and clean middleware solution for the e-commerce project I recently implemented for a client. I found that he is extremely technically articulate yet able to discuss requirements and solutions in such a way that our entire team clearly understood. His customer service is proactive and stellar. Lewis helped us achieve the right solution at the right price and keeps our orders flowing. Highly recommended. As a company we found Lewis a professional and diligent supplier of knowledge and innovations that as helped us develop our database and website moving us into the 21st century. If ###### is not reacting fast enough, we also have a development team on retainer as an amazing resource. Contact name is Lewis Cowles, he is a wizard with PHP and all things code. You might have worked with him at ###### as well.